If my old-self knew my today-self, she’d totally point her finger and laugh at me. First, for refusing to drink coffee creamer. Childish to some, but I don’t really want to eat plastic-like food, thankyouverymuch. Then, for making my own toothpaste. Shoot, she’d laugh at me for cutting off the ends off the tubes too, but for an entirely different reason. Not only does old-self think new-self is a bit too crunchy at times, but old-self wasn’t very careful with her money. Which is probably why new-self is cautious with her money. But that’s a whole different story, for a different day. I’ve starting wearing food on my face. About six weeks ago, I was getting ready for church and noticed that my foundation was getting close to empty. There was still a few days worth left, but I decided to go ahead and try another tube that I had in my makeup bag. I pulled it out and noticed that the liquid portion of the makeup had separated from the solid portion. But this mama still needs makeup, so I shook and shook and shook that little tube until my arms got tired of shaking (it was like, a minute) and looked at it again. It wasn’t completely mixed, but it looked good enough to try putting on my face. I put about a pea sized amount on my sponge and started to apply it to my face, the same exact way I do every other morning. Only this time, the make up didn’t “go on.” Instead, it just smeared like thick goo on top of my skin. You know how in the movies lifeguards have that thick white sunscreen on their nose? Imagine that, only something slightly resembling the color of skin. I smeared the makeup face with my hands, trying to rub it in and make it better, but everything I did just made it worse! No joke, I looked as if I was putting on costume makeup for Halloween. It was embarrassing and awful. There was NO WAY I could go to church like this! Using a hand towel, I tried to wipe off as much as I could, but that resulted in an even worse disaster! That tan-ish goo had seeped into my pores and made my face looked like it was spotted with the stuff! Seriously, it was beyond bad. By this point, I was starting to run out of time before we had to leave so I had to let it go. I added powder on top, finished the rest of my face and threw away the liquid. I don’t care what was in that little bottle, but there was NO WAY in the world I was EVER going to try it again. I don’t care how expensive it was! That week, I started looking into homemade foundations. I figured I had a few Sundays left of my normal foundation (since I really only wear it to church and on date nights with Mr. Crumbs) so I had some time to experiment. 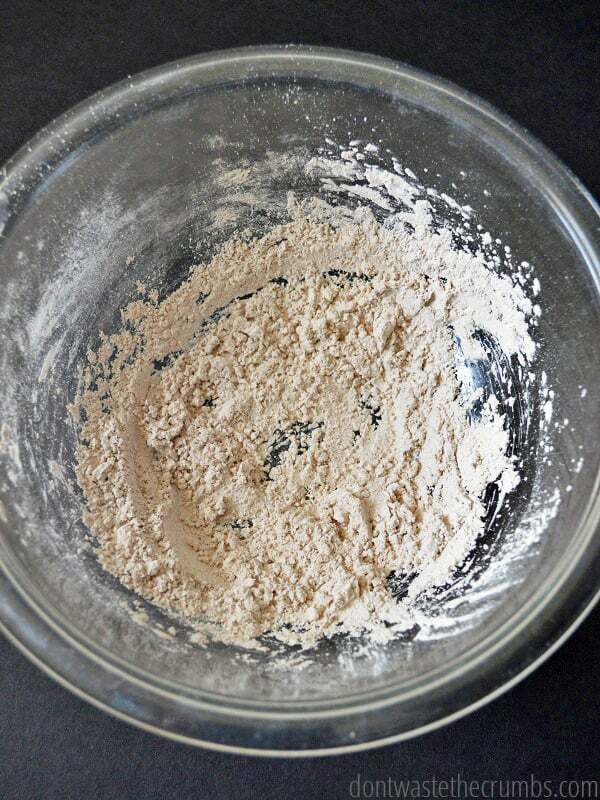 I found LOTS of recipes out there, but in the end I created a homemade powdered foundation that uses only the food from my kitchen, and it works beautifully. It’s so easy to make and offers enough coverage to allow me to go grocery shopping without scaring other patrons. Water, Cyclopentasiloxane, Trimethylsiloxysilicate, Butylene Glycol, Trimethyl Pentaphenyl Trisiloxane, Silica, Phenyl Trimethicone, Magnesium Sulfate, Polyglyceryl-3 Diisostearate, Tribehenin, PEG-10 Dimethicone, Bis-PEG/PPG-14/14 Dimethicone, Tocopheryl Acetate, Sodium Hyaluronate, Glycerin, Ethylhexylglycerin, Polyglyceryl-4 Isostearate, Cetyl PEG/PPG-10/1 Dimethicone, Methicone, Tetramethyl Hexaphenyl Tetrasiloxane, Phenyl Methicone, Dimethicone, Laureth-7, Polymethylsilsesquioxane, Hexyl Laurate, Disteardimonium Hectorite, Cellulose Gum, Propylene Carbonate, Alumina, Xanthan Gum, Dimethicone Silylate, Sorbic Acid, Phenoxyethanol, Chlorphenesin. May contain: Iron Oxides (CI 77491, CI 77492, CI 77499), Titanium Dioxide (CI 77891), ILN37941. Gosh – to think of all the years I’ve been willingly putting this JUNK on my face… and I wonder why I have sensitive and acne-prone skin? You can choose non-GMO cornstarch or arrowroot starch. This is the blank canvas powder that you’re going to add color to. If you’re allergic or sensitive to corn, choose arrowroot. If you don’t have any sensitivities, choose whichever is more affordable. Tip: If you don’t have a green spice that is ground and you need to counteract some red undertones, make your own by putting some oregano or basil or sage in a coffee grinder or blender and whiz away! The powders alone make for a great powder, but they’re not very user-friendly. As a powder should, they kinda leave behind messes during the transition from container to brush to face. 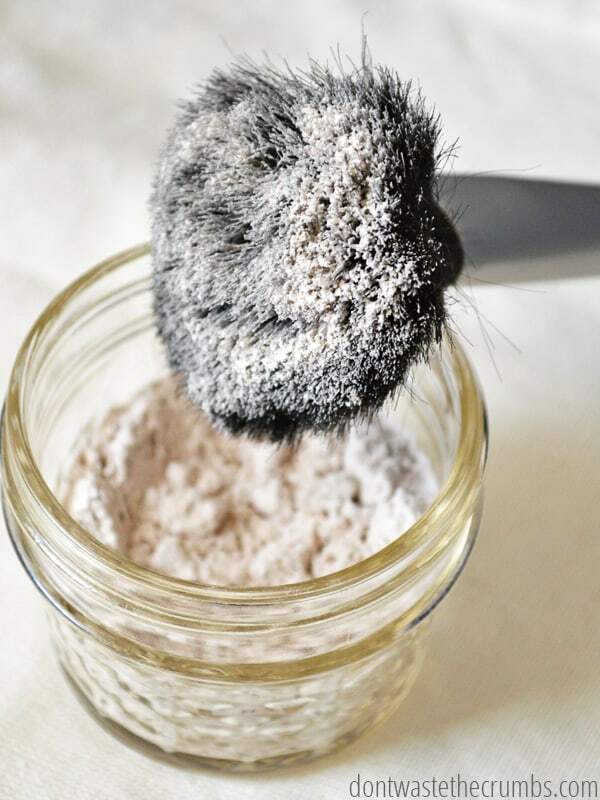 Essential oils and other nourishing oils like jojoba, vitamin E or sweet almond oil help make the powder stick better to itself (and your face) so you don’t make huge messes everywhere, while at the same time still keeping the foundation in powdered form. The quantity of the base will stay the same, but the colors will vary depending on your skin type. I’ll share a basic recipe that should get you started, but you’ll have to tinker with the amounts to find the right shade that’s perfect for you. It might sound intimidating, but it’s really not difficult. Adjust the color using small amounts and you’ll have your perfect shade in less than five minutes. Yes, it’s really that easy! In a small glass bowl, measure out arrowroot or cornstarch. Add 1/4 tsp of cocoa powder, bentonite clay and 1/4 tsp of nutmeg. Mix well with a whisk. Add remaining ingredients, 1/8 tsp at at time, depending on your skin tone, whisking well after each addition. Test the color by dipping your foundation brush into the bowl and brushing on your face. Adjust the color as needed. When you’ve found your perfect color combination, add 10 drops of lavender oil and whisk well. If you would like additional moisture, add the optional tea tree oil and whisk well. Scoop powder into your final container and store closed. Glass Jars – you can get these in all sorts of sizes, but you probably don’t want to go any smaller than 4 oz simply because you won’t be able to get your brush in the smaller jars. As you can see, this is what I use. I tip the jar over so powder can rest in the lid, and then I dip the brush in the lid before applying to my face. Powder Jar – these are the special jars that have the insert with little holes to help you control the flow of the powder. If you’re prone to making messes, this would be your better option. They would also work well if you prefer to use powder puffs over brushes. Here’s the best part. The total cost for homemade powdered foundation? Less than 30¢. Can you believe that?! Each batch of makeup will last anywhere from 4 to 8 weeks, depending on how much you use. There might be a small upfront investment for the oils if you don’t have them, but once you do, the small amount of each ingredient per batch means you can literally make your own makeup for one full year for just $3 – less than the cost of a grande latte! Gosh… to think of all the money I’ve spent on makeup over the course of my life, lol. At least this is one toiletry item that won’t be making a big dent in our grocery bill! Have you had any makeup disasters recently? I’d love to hear them. 🙂 Plus – would you consider taking a baby step and switching to homemade powder? I love this! My problem with powder foundations though is my large pores. Would you happen to have a home remedy for shrinking pores? Just stumbled upon your website and may I say that I absolutely adore you? Within the first five minutes on this post I was enamored with your writing style, the easiness of this project, and just practically everything you share and show on your site. Thank you for sharing your life and world and helping others to enhance their own. Wow – thanks so much Austen! What a great compliment. 🙂 Many blessings to you and your family! My thoughts exactly Austen H. Baroque! I had my yearly treat last night- a massage and I was talking with my massage therapist afterwards who is also an aromatherapist and we got into talking about products that we’ve quit buying and make ourselves. The topic of makeup came up and I mentioned that I wear it once every few months for a special occasion but that’s about it because I didn’t want to spend big bucks on organic makeup and she said she made her own. Wait…what?! Why had I never thought of that?!!! She gave me the list of ingredients and I didn’t take down measurements because I knew from the moment she said it I would take to Pinterest to find something and did I ever?! I have only read this post but I can tell already that I love your site!! I’m going to take a gander around starting with the homemade toothpaste article next. Everyday I find something new and the journey of living a more natural/organic life gets easier and more exciting! I love that I’ll be able to have makeup not only made for me but made by me, I know what goes into it and I can make the perfect shade with a bit of patience and practice. Not only that but as my girls get older and enter the makeup age, I can make theirs too and save them years worth of nasty chemicals absorbing into their bodies and tons of money. Can you tell I’m in love with this new to me idea?! Thanks a million for posting this! I just thought that I’d share a remedy for larger pores…witch hazel. It works great. Helps shrink pores and clear up acne. It can have a drying effect so I follow up with a good quality natural face cream. I have seen many videos that add alcohol to make a more compressed powder. I have not tried it but do you suppose that adding witch hazel would do both shrink pores and make the powder more compact. I love your post, thank you for sharing! There r some carrier oils great for shrinking pores- cherry kernel is one (light,dry oil), black currant seed (heavy, shiny oil) and also grapeseed oil (also a dry, light oil) all of which ive used with success! Add these to ur skin care regimen and ure good to go! Also you can add essential oils such as frankincense, mint and lavender i think it helps with the pore problem as well. Best wishes. Thank you very much for sharing this natural recipes.I have made the decision last two years not to put any chemicals on my skin.Taking the fact that,skin is the largest organ of the body.I learn that from the book of Kevin Treudeu. And nowadays because skin products there are causes illness and female health issues. I use a mixture of ACV (raw, organic, unpasteurized apple cider vinegar with the mother – I use “Bragg” brand) mixed with 2 parts distilled water as a toner. I apply after cleansing and before moisturizing morning and night. It is a great toner and really reduces the pores. My girlfriend (a hair dresser) when back to cosmetology school to learn facials ect. She hated her large pores. She also had greasy skin. It ends up her skin was greasy because she never used moisturizer. Sounds weird I know, but once she started using one her skin became beautiful. No large pores & not greasy. She looks fabulous. It’s a simple fix to an age old problem, it doesn’t hurt to try & I’m positive it will work for you. Get it a 3 months try. I’m sorry to say, facial pores only get larger with age, I am not 66. I have them on my nose and the rest of my face is of an orange peel texture. The pores are per-manent scars, they don’t shrink with any cosmetic or age. I hear that laser treatments are the only way to remove them and smooth out the skin. I just try to keep mine clean by using with peroxide on a cotton pad, then immediately apply L’Oreal’s Miracle Blur to conceal them. Try cleansing and moisturizing your skin with grapeseed oil – it’s astringent, and a very light oil suitable for greasy skin too. Just smear it on dry face to losen makeup and dirt, and rinse off with hot water. If the skin needs moisture after drying, apply a few drops more oil. Apple Cider Vinegar (Braggs) is a great facial toner & shrinks pores. You can dilute it with water if needed. Love it. Thank you so much for sharing this! I’m definitely going to try it! I currently buy an organic powder but need a change in color for summer and winter. Now I can just whip up a new batch! Thanks a million! love to make my own . . . .but have not tried a powder yet! will definitely be doing this!!! Wow, I’m glad you mentioned not using bentonite clay because of metal. I had no idea those two don’t like each other. I had the thought to sub in the clay, until you said No! It would’ve been terrible since I wear glasses and you can’t tell the metal frames to never come in contact with your face! I have never used the clay for anything (except I did just buy my first tube of earthpaste!). Do you know the color of the clay? I am planning on trying your recipe, since I also have fair skin, but wondered if the shade would be off if I substituted the clay. Oil in spices don’t go rancid – the oil you extract from spices are essentil oils, and EO’s does not contain fatty acids. Some EO’s oxidize, though, but not before they are extracted, sitrus oils oxidize most easily. Smart thinking Rachel – I appreciate you thinking of this and including the tip for other readers!! I want to try your recipe, but I will have to buy all the ingredients. I like a powder from Aubrey that uses silk and cinnamon. I have a very light toned skin with a little pink. Have you tried cinnamon in a mix for your face? Hi, do you have any suggestions for ingredients to use to apply to black skin ( tones). It is difficult to make homemade powders and foundations when you’re darker. I am the same shade as actress Teyonah Paris or singer Lauryn Hill. I would really appreciate some tips or suggestions! I love the idea of making your own beauty products and have done this for years! I just can’t seem to find what works for my skin tone. Love your site by the way :). I’m struggling with ” adult acne”. I went vegan three times and skin looked awesome! Then I fell off and now this. I’m 40, I shouldn’t have acne :(. Maybe that’s helping me still look in my 20s (lol)? And I think coconut oil aggravated my skin a time or two so I can’t use it. I currently use hempseed oil. It’s pricey but makes my skin feel good and it is a 0 on comodogenic scale. Thanks in advance! Please, please, please put some COLOR in your text. I am an eye patient, and even with high “ZOOM” I cannot read your posts from my Inbox. Hi there! First, thank you for reading my mind (and pocket book) as you seem to always post about my current conundrum without me saying a word. It’s amazing how you do that! This may be a silly question, but in the place of ground ginger could I use ground mustard as a yellow to hide blueish under eye circles, or ewould that be bad for my skin? This new mom needs a good concealer to look alert and awake when I’m most obviously not. Haha. Thank you!! Well, I can’t take much credit for reading your mind, but you’re welcome anyway! 🙂 Mustard… maybe. I’d test it on your cheek first (for a couple days), to see if you react to it. If not, I’d give it a go. Be careful to not get it IN your eye though, that wouldn’t be good. 🙂 I’m using the tinted moisturizer all over, then concealer under my eyes, topped with the powdered foundation and that works well. I’d be interested to see if the mustard works – let me know please! As a former esthetician, I would warn you about using anything under your eyes that is a known irritant. Mustard is very much like cinnamon, stronger in some senses. The skin around your eyes is some of the thinnest on your body and appears to have the ability to absorb/transfer more things into your eye area than other parts of your body. Please, please read up on mustard and its effects on the skin- it can BURN. If you are looking for an alternative to blue, and need a yellow tone, tumeric may be a better option- though I have not researched its safety on skin either. However it does not stand out as a red flag as much as mustard and cinnamon! Either way, if you want to counteract blue, you are looking for an orange tone. Yellow may not be strong enough to do what you are intending. What a great idea! Thank you for this post. Where do you buy your essential oils for making this powder foundation? It seems there is a wide variety in pricing for what seems to be the same pure, therapeutic grade essential oils. Yes, there IS a wide variety in pricing. I buy my EO’s from Amazon at the moment. Going forward, I’m keeping just lavender, lemon and peppermint on hand and those will cover my needs. If I expand to more EO’s, I’ll definitely need to look into the quality a bit more. I was ready for bed when I read this post and had to run to my kitchen to try this~ I had to make mine darker and ‘greener’ because of my rosy cheeks, but wow am I impressed! I have been looking for an alternative to the expensive, yet natural, mineral powders out there and I am so glad you posted this. I love how it made my large pores disappear and my skin feels super smooth (I used arrowroot, since I use it to make deodorant in my small line of natural home and body products). I will try mixing it with my face balm in the morning to see how it works for my ‘church’ makeup 😉 Thanks again for posting- I was one of those people who tried cocoa powder as a natural bronzer and ran for the hills in terror after that experiment. Thank you Lisa! I’m so glad you like this!! How did your “church” makeup turn out? Ok. I have problem skin….I have cystic acne…I never get a lot at one time, but always seem to have a least one. I would welcome a regular white head or black head. Anyway, I have done almost everything trying to clear it up. Antibiotics, birth control pill, proactive, acnefree, Clearasil, benzoyl peroxide. Nothing…well except for super red, dry flaky skin. So I just covered it with make up for the longest time. Lately though, I have been on a detox diet…except for my actual diet 🙂 I have gone to all natural cleaners and lotions, but was still using make up….bare minerals. It is pretty good, natural, but CO$TLY!! So when I saw this and knowing I had everything to make it I did. My assessment….it doesn’t cover as good as bare minerals, but it is fewer steps for me and way cheaper. I also made the tinted moisturizer using coconut oil and shea butter mixed instead of all coconut oil. I am impressed. I don’t feel like I am wearing ANYTHING!!! Well clothes, but my skin isn’t dry, it isn’t itchy, it isn’t shiny or blotchy. It feels like nice clean skin. AHHHHHH!!! THANK YOU SO MUCH FOR THIS BRILLIANCE!!!! I do have red scars from old acne as well….taking a page out of your book errr blog, I made concealer…just mixing the necessary spices to get the coverage I wanted. 🙂 It worked! Oh and I couldn’t find small containers….so looking around the house I found plastic eggs…worked for the moisturizer and for the concealer PERFECTLY! A department store make-up artist told me that my painful acne was due to milk products. I stopped having a glass of milk every night with dinner and switched to soy milk on my cereal. On occasion I still enjoy ice cream, and I still eat a fair bit of plain yoghurt, but my large, painful zits went away. I hope you find the issue for yours. I’m sorry to hear your struggle with acne Rhonda, but glad you’re enjoying this makeup recipe! Oh, thank you God I found this site and this brilliant blog. Like everybody else I was looking for a natural solution for my powder and foundation needs since I am allergic to almost every make up on the market, no matter how expensive. Now I do have a herb garden and like to make my own natural teas and spices. Not long ago I was just preparing a face mask with green clay, italian I think, very, very fine. But instead of putting it on my faceI started adding to the clay some powdered cardamon(, pale green,), cumin powder (pale brown) and sage powder. in the end i mix them all with cooled boiled water and drank a liter through the day. In the back of my mind was to see if I can make a face powder. Only now, thanks to your site I realized the need for some oil to omogenize and blend them and provide the staying power. I will give it a try tomorow as it is night right now in Ireland. By the way, please stay away from well known irritants such as mustard, tumeric or cinnamon or even cayenne pepper. This spices are very good for body massage ( in cases of colds, rheumathic and arthritic pains) blended in coconut oil. I will let you know how it went. Wish me luck . Wow I can’t wait! Blessings. Good luck Maria! How neat to be able to make your own skin care items from your garden!! Is there something else I can use in place of arrowroot or cornstarch? I can’t find either from my local supermarket. Not even cornstarch? It’ll be in the baking department, likely near the flours/sugars. If not, perhaps potato starch or tapioca flour, but those seem to be more “specialty” than both cornstarch and arrowroot. I’ll look into other “normal” options today for you. I bought my arrowroot off of eBay, but Amazon carries it too. This reminded me of a story that I read (maybe heard in a tape) of a woman’s bie study author who mixed foundation colors to make her perfect shade. On went the very dark brown before she added the very pale shade. Well, there was an emergency with a child, I believe, and she ended up going to the emergency room before she’d added her light coat. She got a lot of strange looks and stares before she realized why! He-he. I haven’t thought of that story in years! Maybe Elizabeth George or Nancy Missler. Have you tried adding zinc oxide for a little sun protection? I was trying to decide how much would be appropriate for this recipe. I have not Vicky, and I’ve read that powdered zinc oxide should not be inhaled. I have not checked sources, but if that’s the case, DO NOT put it in this powder. It’s not compressed, and you could easily inhale it during application or even later in the day! I’m sorry Crystal! I definitely get some on my shirt, but I haven’t run into the issue of not sticking to my face at all. Maybe try while your moisturizer hasn’t completely dried yet, or use a different application method. I use a big brush, but I have a feeling less would end up on my clothes if I used one of those special lids with holes and a cotton pouf. Thanks so much! I have very dry skin so perhaps this is part of the problem. Can you use olive oil to hold together? Yes Ciara, you could. Just be very careful – a few drops go a long way! Is there a way to make this a pressed power? You would have to add more oil and press it firmly into a compact, letting it air dry for 2-3 weeks. I haven’t tried this myself though. Do you have a recipe for concealer or blush? I can’t wait to try the powder! I’m sorry Natalie, I do not! I don’t use blush, but I’ll likely try a DIY concealer when mine runs out! I’m trying this tonight! I am also going to try to make a water-based liquid foundation. One concern- I don’t think you’re supposed to use lavender and tea tree oils together. When they are combined, they work like a concentrated estrogen and can cause cancer. Either is really good for acne, but use one or the other, not both! Thanks for this powder recipe! I hadn’t heard this Amelia, but I admit to not being a pro at essential oils. Interesting though and definitely something to research. Thank you for sharing! I’ve done a fair bit of work with EOs and have had some training. I have never heard of a problem with mixing lavender and tea tree, it is a frequently combined mix. There are some EOs that act differently when combined, eg citrus oils often have synergistic power. In low, diluted amounts, the majority of commonly used EOs are quite safe to use externally no matter the combination. However, I probably wouldn’t recommend putting tea tree on the face of anyone with sensitive skin. Do you have a recipe for tinted moisturizer? I’m going to try something like this soon! But I do want to comment that all those natural ingredients have “scary” chemical names, too. You have me inspired to try making my own moisturizer and makeup! And toothpaste. The list goes on! Hi Christiana! This recipe does flake off a bit as you apply, but I haven’t had issues with it coming off once it’s on… does that make sense? You can try adding a bit more essential oils, 5 drops at a time and mixing very well after each addition if it’s not “sticking” to your face. Also, put less on your brush before applying helps reduce the flaking too (learned that one the hard way, lol). Hi there, I am curious, could this be turned into a compact powder foundation? I have fixed my broken compacts in the past with rubbing alcohol. You pour in a tiny amount, mix, tap on the counter surface to settle, and leave it open to allow the alcohol to evaporate. Could this be done with this recipe? Curious how it might work or if anyone has tried it. I ordered my ingredients from Amazon and I am waiting for them to arrive; when they do I will give this a try with a small amount and update? Just curious if anyone has already tried it. I will let you know! Also, have you tried tapioca starch instead of arrowroot? After some research, I am finding that tapioca starch is a better binding agent and less “powdery” than arrowroot. I am wondering if it will be fine enough? I haven’t tried tapioca starch Ashlynn, but I have some in my pantry and will certainly give it a shot next time. I’m all game for less powdery!! 🙂 If it’s not fine enough, a round in a blender should do the trick. Hi! I just tried this last night and I am having a hard time getting it to stick to my face. I found that ginger and nutmeg are a bit course, they have larger, grainy texture so I put it through my blender with the milling blade, before adding the bentonite clay. It helped, but still grainy. So I made a second batch with arrowroot, clay, cinnamon, and the oils. The texture was better but still no stick. I use argan oil for a moisturizer and it seems to just matify a bit. Its like a tanslucent powder. Perhaps the spices don’t have enough pigment for even a tiny bit of coverage. It did make my face SO soft and smell wonderful! My husband enjoyed the cocoa and lavender scent! I will try again tonight. I am going to experiment with rice flour, ground mustard (its a very fine yellow powder with no scent!) and also a bit of tumeric. I have very fair skin with yellow undertones. Also, the compact DOES NOT WORK! I tried with alcohol but it darkens it even after evaporating. It also cracks into a crumbled mess upon dipping a brush into it. Best left to loose powder! The way I applied was this: I dipped my brush, tapped off excess, and buffed it on. I also tried just swiping it on but it would all fall off on my shirt. I added some more oils and it helped a bit, but there is a fine line between just enough and crumbled mess. The oils will also darken it some. I use higher quality ingredients too. Natalie, try oil cleansing and using oils for moisturizing. I have been doing this for two weeks now and my skin is like baby skin texture again! I use castor oil/jojoba/tea tree oil to cleanse at night and rose hip/vitamin E oil to moisturize. I also use rosewater witch hazel to tone in the mornings. It has not only shrunk my pores, toned my skin, and now beginning to clear it up, but it has also improved my combination skin to the point of being very “normal” I actually use this powder as a setting powder over mineral makeup in the day and a very light layer over my oil moisturizer at night to “set” that also. My skin has been loving it! Just some suggestions! Thanks for the suggestion, and for sharing your experience Ashlynn! This is so stupid. Why would you put cocoa powder on your FACE? Many food items are just as good for the body externally as they are internally. Honey is a perfect example – great in nutrients, and also heals wounds. Cocoa powder is used for color in this recipe. This is a positive blog Clara, and if you have questions I’m more than happy to answer them. However, I do request that your tone be polite and respectful. Why would you put CHEMICALS on your FACE?!?! That is so stupid, OMG!!!! Sarcasm intended, obviously. But all jokes aside, pretty much all makeup (assuming you wear store bought makeup, like most women) contains a plethora of weird stuff. Ever use any deep red lipsticks or blushes? They often use carmine to color them, which is extracted from crushed cochineal insects. Beeswax and lanolin (fat derived from grease in a sheep’s wool) are common cosmetic ingredients as well. Ever wear sparkly makeup? The “sparkles” are often taken from fish scales. Sorry for the typos and spelling errors too, like “principal” instead of principle, and “breath” instead of breathe, There are tons I noticed now, but I was typing that while on my last 3 minutes of a 10 minute break. 1. Mica is the best choice for dry or elderly skin, but wear a mask while mixing away. It’s a 1 to 2 part mix with white kaolin clay being the smaller part. Clay provides coverage, and is healthy for skin. Titanium dioxide is known to cause wrinkles, and endocrine disturbances. 2. Rice powder gently and slowly controls oil, and leaves skin silkier. Arrowroot dries out skin, as does tapioca which is too fluffy and dusty. Cornstarch is a waste of time, feels very heavy. You’re better off using unscented talc baby powder at that point, and using a blow drying when applying to avoid breathing in. 3. Blushes are just your face powder tinted pink instead. Died fruit powders do not work for this, only iron oxides leave behind color on skin. 4. Stick with cocoa, and iron oxides if you wish to obtain the best, and most comfortable tinting options for sensitive skin. 5. If you do not wish to breathe much of anything into your lungs, make all your powders, blushes, eye shadows ect. compressed. You do this by spraying your favorite skin oil (or a combo of oils) into the powder (I lay mine on wax paper and use a spatula). You toss, chop and fold the mix and press with the spatula until you get the “look” of a pressed powder. Go slow with the oil. You only need to add just enough until you can press it down flat, and it looks smooth, and sticks together. Put this into your favorite container, and press it down as hard as you can with your thumbs, a sterilized coin (be creative). Use a soft brush, sponge or puff to apply. Thank you for your input! I have been experimenting with the spices and found that the ginger, cinnamon, and nutmeg all leave large, grainy particles in the powder. I use arrowroot, but recently got some Kaolin with a small bit of tapioca and corn starch to experiment with… I may pass on those then! But Kaolin is wonderful and I use Bentonite alone over any red spots first, to color correct! It works quite well! I am getting ready to purchase some zinc oxide and color oxides for color. I tried tumeric, same problem, especially if you reapply through the day! I use mustard powder because it is much smoother, but spices just do not give color. Except cocoa! I use it slightly “cut” with arrowroot for a bronzer and contour and it has been the absolute best and most beautiful on my skin! I am going to try cutting it with Kaolin. I also mix some argan, peppermint, and lavender oils in my powder and it makes it not only smell great, but also adhere to my skin better. I use argan oil to moisturize, physicians formula concealer stick to cover just spots, bentonite to correct, this powder, then cocoa bronzer with a light spritz of rosewater/peppermint on top, but very little and at a distance because it will cause the cocoa to blotch! Now… I did try rice powder. GRITTY!! Do you use food grade or cosmetic grade? I tried Bobs Red Mill Rice Flour… will not again. Please let me know! I still need some coverage from a powder so that is my reason for experimenting! Thank you for your input! I have not tried blush yet because I want to master the foundation first. I just use a covergirl blush right now and also some sample mineral blushes from Alima Pure. The samples will last a VERY long time because they are so pigmented; you only need a crumb of it. They do not have great staying power though. Please keep us makeup DIY gurus up to date on your findings! I meant to say that I dont know why my face is breaking out so bad. I wouldn’t recommend coconut oil as the oil in this recipe b/c coconut oil is solid at room temperature, and you need a liquid in order for the recipe to work. Fractionated coconut oil might work, but I don’t use that type so I can’t vouch for it. I think switching to a natural soap and homemade makeup will do WONDERS Megan. As will Redmond Clay – all of these have helped my skin tremendously!! How about switching the arrowroot for Redmond Clay or coconut / almond flour? I don’t really use arrowroot for anything and I’ve been making my own coconut and almond flours (byproduct of making my own coconut and almond milks from your recipe :)). I already have Redmond Clay from making my own toothpaste (also from your recipe 🙂 ). I just don’t want to have to purchase something else when I can sub with something that I have on hand. Thanks for your website by the way. 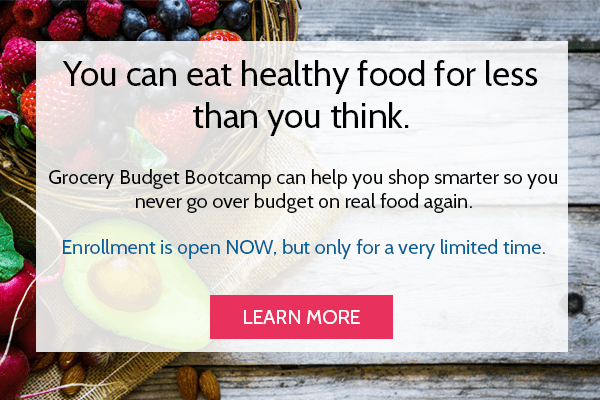 My husband and I are going to purchase your meal plans and start following them next month. 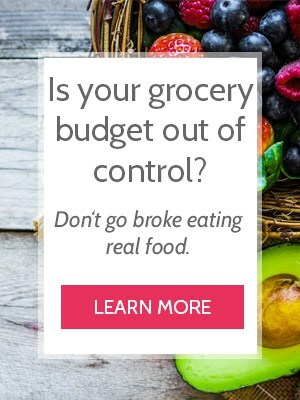 I’m excited about being able to save so much on food while eating healthy meals! I wouldn’t recommend a 100% swap of arrowroot for clay, because the clay will dry out your skin in a large amount and might cause redness. If you can get the coconut or almond flour to be fine enough, then go for it! That’s the main hiccup though, it needs to be FINE, like powdered sugar-kinda fine. If you’re not sensitive to corn and too concerned with GMO, cornstarch isn’t a bad way to go. Plus you could already have the 2 Tbsp on hand. Do you have potato starch? Or tapioca? Those might work too, but I haven’t tested them on skin, so can’t attest to any interactions or reactions. How bout putting a bit of baking soda?would that be fine?just thinking that would lessen the oiliness of my face. Hi Kim! I’ve found that adding 1/4 tsp of bentonite clay along with the cornstarch helps control the oil on my face – along with using a better soap. (I use goat milk soap from Bend Soap Company: https://dontwastethecrumbs.com/BendSoap). I haven’t tried baking soda, but if you do, please let us know! Wow! Thanks for the warning Ava!! Today, I went out and bought some arrowroot powder and made this awesome recipe. Thank you so much for sharing this, Tiffany! At first, I wasn’t sure how it would stay on my face, but after finishing, I found that it stays on just like regular makeup! I love the wonderful smell of the spices too. 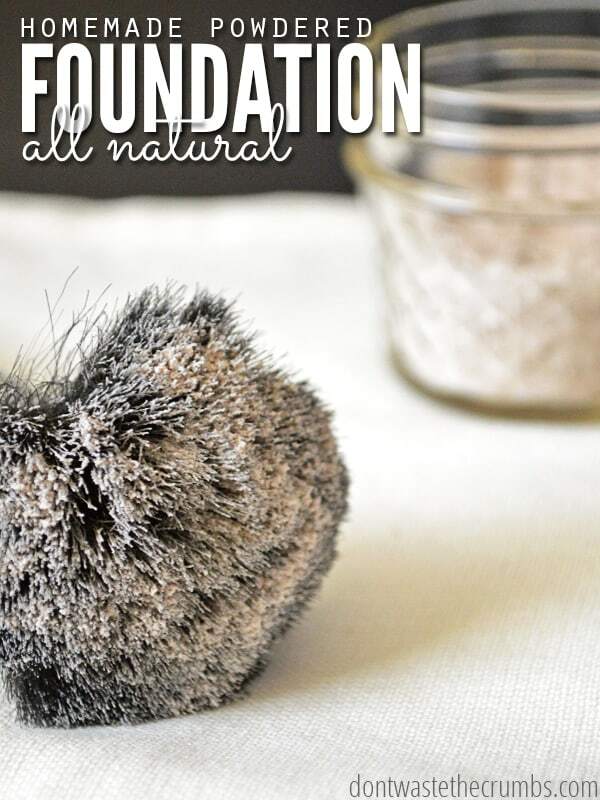 Natural foundation…what a great idea! Hey! I am waiting to try out this recipe but am very excited to try it! Currently my problem is that I have slightly bad skin – or no confidence, one of the two! – so I always require liquid foundation and then set with powders. Any suggestions on making this into a liquid foundation while still using natural ingredients?? Any help from anyone is greatly appreciated, thank you! And thanks for such a great site! I know its a really late reply, but you can add some lotion /moisturizing cream to the mix I tried and it works??? Very nice DIY! I was wondering if you could somehow use the powder to make a concealer? I would need that more than the foundation, but it would be nice if it could be as easy as this. Thanks! Thanks Elsa! I’ve been thinking about a concealer, but we’re not quite there yet. I could use some too. 🙂 Hopefully we can have one to share soon! That’s the recipe I use for my DIY dry shampoo! Next time I make a batch of that, I’ll just adjust the colour to my skin and have 1 jar for multiple purposes – yeah. I love this but have a very different skin tone than you. I am Italian and have a bronze skin tone with warm undertones and use a commercial powdered bronzer. What spices would you recommend I use? Hi Liesl! I imagine “bronze” being a medium brown with some yellows in there, so I’d start with cocoa, nutmeg and ginger and adjust as you need! I have a question. I am ne to using essential oils. When the recipe calls for 10 drops of lavender essential oil, is that straight or after it is mixed with a carrier oil? I love your blog. 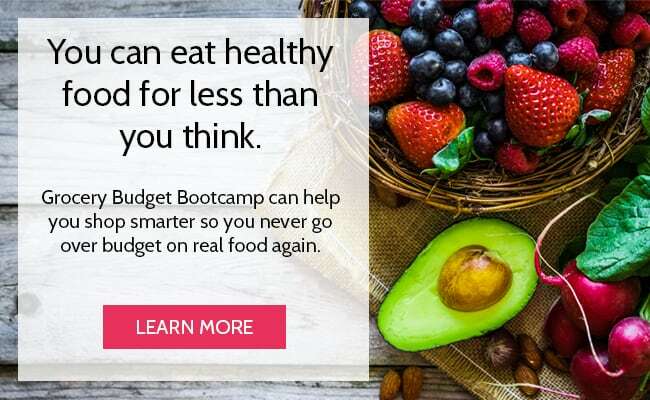 I have looking for ways to become debt free and live a healthier life. I tried your powdered foundation and tinted moisturizer recipes and although I had to tweak the formulas a bit to match my skin tone (I’m African American) I couldn’t be happier. People comment on my clear smooth skin. This is huge for me, especially after I had an awful breakout from an expensive department store cosmetic. I had hundreds of tiny bums all over my face, including the corners of my yes and eyelids. My entire face felt like sandpaper. It was a low point for me. Finding your blog gave me the motivation to do what I’d been wanting to do for a long time. I could go on and on, but instead I will just say thank you for sharing! OMG!!! I can’t believe that I can make my own powder foundation! 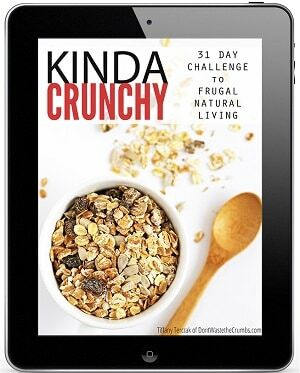 It sounds so incredible and I am absolutely sure that this is the best way to stay healthy. I will definitely try this recipe! I will throw in the garbage every single concealer and powder! Thanks! What could I use instead of the ground sage and the ground cloves? Do I need to put those in there? Ok, so I just tried it without the ground sage and it didn’t work at all for me! 🙁 I don’t know what the coverage is suppose to be but it couldn’t even cover my freckles. Do you have any idea what I might have done wrong? The reason why this powder doesn’t cover anything is because it is food, not minerals like that which makes up powder foundation. It didn’t work for me either. Food is not opaque and doesn’t adhere well unless you have a water-based moisturizer, which could then make the spices muddy in color. I make my own mineral foundation, I got into it after discovering that this just doesn’t cover anything, but arrowroot does make a nice setting powder and cacao makes a lovely bronzer! Ashylynn – I use my tinted moisturizer that has coconut oil, and that tends to help make this powder stick a bit. Awesome! What concealer, tinted moisturizer and foundation do you use for when you use them? Have you found healthy options you like? Thanks! Unfortunately, I have not found healthy options for makeup yet 🙁 I’m still using up some old stuff from the cabinet… but I’m on the lookout because my bottles are more empty than full! Rice flour is used in Asian cosmetics instead of cornstarch or arrowroot powder. I use it often for oily spots and shiny skin. I’ve been excited to try this, but I can’t get the shade right. Like you, I’ve always purchased the lightest shade of foundation with some pink in it, so I figured my perfect shade would be close to yours. (I have reddish brown hair, so I figured I would have to do some tweaking.) However, I’ve added 5 times as much of all the color, and it still looks like my face is covered in white powder. Should it actually be 2 teaspoons of cornstarch instead of 2 tablespoons? Any other suggestions? I hate to just throw out what I’ve been working on, but I’d rather not spend much more time on it unless I can get some other ideas. Thanks! Mine also looked waaay too light and I added loads of extra yellow (I have a lot of yellow in my skin), and double the amount of cocoa from the recipe. I tried mixing it with a moisturizer and that really seemed to strengthen the color, finally turning into actual skin color and resembling tinted moisturizer a lot, but it didn’t seem to do anything for the coverage. hoping someone can help. i really want this to work but I’ve tried twice and my foundation just turns an icky grey color. I’m medium toned. anyone? Mine also looked really gray. I started with the suggested amounts but it looked really white still, so I added more cocoa but then it started looking really gray, almost a purple gray, so I stopped. I added loads of tumeric to get it more to my yellowy skintone, but it still looks really gray and really white. When I rub it into my skin it starts to look more skintone though, bringing out the yellow somehow, but I have to buff so much to get the whitish and grayish color away that I end up with no coverage. I tried mixing it with moisturizer and that made the color look like skincolor, but still not really any coverage. I also dob’t recommend anyone add as much tumeric as I did, it itches and burns. Might be the cornstarch though, I read in one of the comments that it can be itchy. I’m going to try with rice powder when I can get some, and find a replacement for tumeric. I don’t think ginger will do it as I had to add a ton of tumeric and it’s way more pigmented. Maybe saffron. Just tried this recipe today and got great results.thanks for posting this! My question is regarding the banana yellow concealer you were talking about. Where can we purchase that product. I have terrible dark circles under my eyes. do you really use this? because in all the blogs that share this recipe not one showed the picture of the author actually using it. Visit Live Simply blog, she has a VIDEO on Youtube also of her making it and applying it to her face with some lovely music. Search “DIY homemade Foundation powder” by Live Simply and watch it there. This powder doesn’t do much which is why I think it isn’t demonstrated by many. I make true mineral powder foundation makeup and that does cover! This is a great little setting powder though or perhaps if you already have great skin! 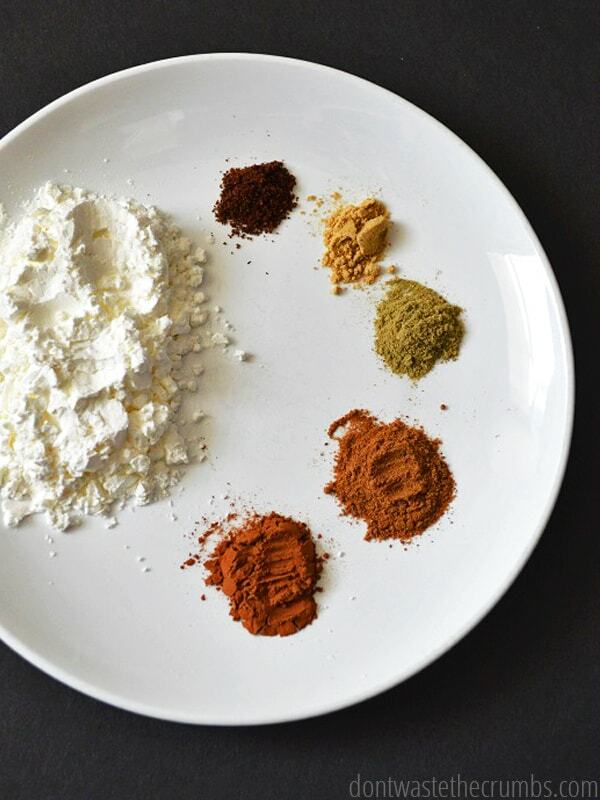 How do you make your mineral powder foundation? I tried this and need heavy coverage and got zero coverage. Please share your mineral foundation recipe if you can, thanks! Oxides are strong pigments of crushed rocks. The amount will depend on your skintone and this is where it gets tricky. Add a little at a time. You will use mostly yellow and brown and if you have a very cool or olive skintone, also get some ultramarie blue and chromium green oxide. Blend the Titanium, zinc, mica, sericite, and magnesium stearate for several minutes, 5-6 and allowing a rest inbetween so your grinder doesn’t overheat. Then slowly add oxides blending 1 minute between additions. The more you grind, the ore the color develops. I use plastic wrap to cover my grinder before putting the lid on to keep the mess to a minimum. You can also purchase sifter jars from TKB. Good luck! A google search of “DIY mineral Foundation” will bring up plenty of sources. Yes I do Sayara! I don’t have a picture of me using it because it’s quite hard to hold the camera, of myself, while doing my makeup. 🙂 But I assure you, I eat and use everything you see on this blog! I made the tinted moisturizer and absolutely love it ecept that the ground nutmeg is noticible on my face…little dark specks. I will make my next “batch” without the nutmeg. Would it be possible to substitute ground sage with ground rosemary powder instead? I haven’t tried this myself Amy, but it’s worth a shot! It seems to work and I’m not getting any allergic reactions. Thanks for replying and thanks for posting the recipe on your blog. It helped me a lot. I whipped up a batch just now and it looks GREAT! I’m a little shocked. I had no idea DIY makeup could look as good if not better than store bought. But I shouldn’t be surprised. DIY is always better! 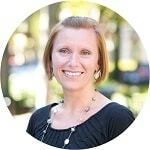 Thank you for sharing your knowledge with the rest of us on your blog! 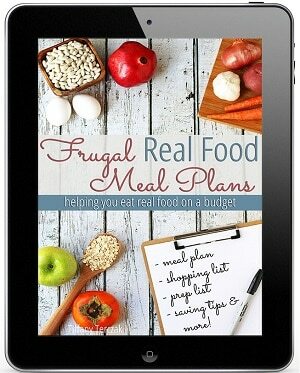 I recently heard of your blog from a friend using your meal-planning service and have fallen in love! So glad you liked how this turned out Kristen! Welcome to Crumbs! Hi thank you for the article! I am wondering, what type of coverage does this homemade foundation give? I have the regular breakout on my jawline, which isn’t too bad, but I also have a lot of acne scarring from earlier in my life. The scarring is quite noticeable, and gives my skin an uneven texture. Would this foundation cover that? Also, do you have a homemade liquid foundation recipe? Thanks! Hi Laura – this recipe will not provide coverage for scarring, rather it’s very light. I don’t have a liquid recipe at the moment either. I’m sorry! Hi there! Thank you for posting such a great article and recipe. I, too, have struggled with very sensitive and acne prone skin. During my crunchy journey, I’ve discovered well, maybe my skin isn’t actually THAT acne prone (maybe still sensitive though), rather it’s the products I’ve used. After stopping all use of make up, the craziest thing happened.. my skin cleared! Now, there are still times I’d like to wear a light foundation.. thus here I am. So about two months ago I made this powder, and applicated throughout the process to match to my skin color.. but everything looked so pale, I continued to add and add. It now looks similar to what the closest thing to “natural” powder I’ve been able to get my hands on. It’s just soon powder-y, and ends up everywhere. Not to mention, the only color that stayed was a yellow-green tint. A few people noticed and asked me, I was like, “Err, who knows, that’s odd!” hahah! But I’m sure I can make this work. I’ve added 10 drops of jojoba oil to try to help, and have put that on my face to see if it helps it stay, but that application was still so powder-y. I think I may also add 1-2tbsp arrowroot (which is my base) to bellow out some of the spices I added. Hi Casey! Thanks for sharing your story with me! I wanted to address the “powdery” issue you’re having. I had that too and couldn’t figure a way to make it go away, so I just dealt with it (feeling confident it was healthier for my skin than make-up). But then I changed to a different brush and that fixed it! It’s the strangest thing, but for some reason the mess the powder creates is nearly gone AND it stays on my skin better. I’ll see if I can find a link online for the type of brush I have. Hopefully it will help! I found it locally, but the key is that it has a flat top and not rounded. I’m not a make-up pro, but that’s made all the difference! I love the easiness of this recipe. I’ve been researching many of these and so many call for zinc oxide. What are your feelings on this since I don’t see in in your recipe. Thanks Shari! Zinc oxide is known for its SPF properties. I use it in my homemade sunscreen and love it, but I wouldn’t add it to foundation. My best guess is that recipes are adding it because of the exposure to the sun, but I’m a firm believer in getting as much vitamin D from sun exposure as you safely can, and then relying on other means of sun protection as needed. I wouldn’t add SPF to foundation unless my face was going to be exposed to the sun for long periods of time, and since I’m a WAHM mom that doesn’t happen (and frankly, it wouldn’t even if I worked at a typical office). Hi, first…I love this idea. Second, and I don’t know if anyone has mentioned this but I used matcha powder for the green in the powder I made for myself. It works so well that I doubt I’ll ever go back to commercial powders again! I made this recipe today but did not have the clay so I left it out. So far, it is working really well. I also made the tinted moisturiser and found it did nothing for me but moisturise no matter how much powder I added (the colour in the jar was perfect, but it did not impact the colour on my face). I would give this recipe an A, but unfortunately the other one only a C. I also tried your liquid herbal shampoo today. Worked well,and I am excited to give it a month or two to allow my hair to adjust. Thank you for all of the ideas! You’re welcome Janelle! Just like over-the-counter brands of make-up are different for everyone, DIY makeup is too. I’m glad you’re enjoying the powder! My skin is more olive, so I added a LOT more cacao powder. It didn’t seem to stick enough, so I rubbed a few drops of jojoba oil on my face. That worked. At first, I didn’t think it did much for me, but then I went to the living room and my boyfriend said I looked pretty. Ok then! Thanks for the awesome recipe and blog. Wow! That’s a huge compliment Bella – thank you for sharing! I’ve been trying to make pennies stretch lately so I tried making a double batch of this recipe. My family is gagging and coughing saying it stunk so badly they couldn’t even finish eating dinner in here. It also came out brown even though I added more corn starch and regular powder from the store to try to lighten things up a bit. But I am caucasian and this is DEFINITELY for someone else’s skin tone. I’m glad others had good things happen with this but it definitely is not something I’ll be attempting again. That’s very strange CJ – I’ve never even smelled this when making it. And remember that it’s easier to make it darker, and harder to make it light once it’s dark. I hope you can find a recipe that works for you! What is the bentonite clay for? Is it a must have? I am looking for a foundation recipe similar to the bare mineral powered foundation. I don’t wear liquid foundation and want to make sure before I get out all the ingredients. What type of coverage is this? Full, medium, light or just poweder on your face? Can I buff it into my skin like bare minerals? I tried bare minerals and wasn’t a fan, and this will probably be very light in comparison. Ingredient list, but not mentioned at all in the Directions/Method part of the recipe. So.. do you want us to put Bentonite Clay in our powder? If so, then at what stage of the directions do we put it in, and how much? 1/4 Tsp bentonite clay ? Sorry about that Rhonda – I’ve updated the recipe. Add it at the very beginning with the cornstarch! I just have a question about this recipe. If i make this, how long can it last? It can last a long time – it’s just a bunch of powder and spices!